--Selectable Languages: Chinese, English, Japanese, French, German, Spanish, Portuguese and Russian. --Fonts: Default font is Arial, allows users to load the fonts they need. --Barcodes: UPCA, UPCE, EAN13, EAN8, INT25, CODE39, CODE128, ENA 128, PDF417, DATAMATRIX, QR. --Date format: Variety of date modes available (Production Date, Use by Date, Expiration Date, etc). --Support external database through PC software: MS Excel, MS Access, SQL. 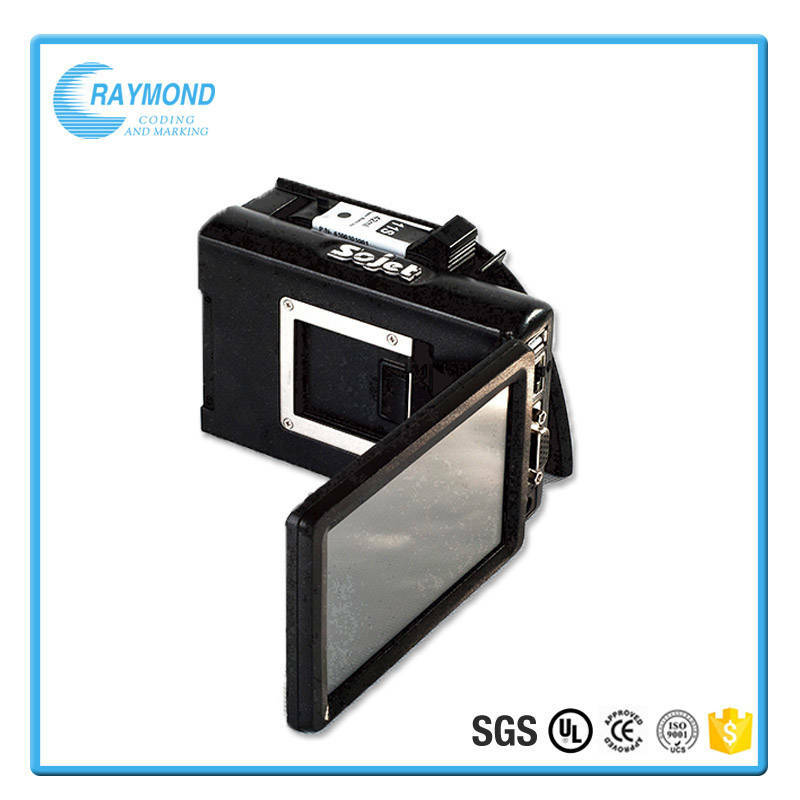 --Support data source from printer: Provide standard RS-232, Ethernet port and USB port, simplify the integration for customers. --Counters: Flexible setting for serial number, Lot-Box code counters. --Print Speed: Print speed can be set, auto-measuring or using external synchronizer. --Variable throw distance supported: Different deflectors available for different curves. --Stretchable Printhead: Printhead can stretch from 0-12mm. --Connect to external data source: Through port of USB, Ethernet and RS232, printer can integrate with the external data. --Uneven surface printing: Suitable for curve and uneven surface. 1) Support various colors of ink: black, red, green, blue. 2) Support Porous, semi-porous and non-porous materials. 3) Support 42ml, 370ml and 350ml cartridges of HP TIJ2.5 technology.